Jane Hoffman Group is pleased to announce the successful sale of Nautica Vista; a luxury waterfront estate home in Kelowna, during a live auction event held on June 25, 2013. 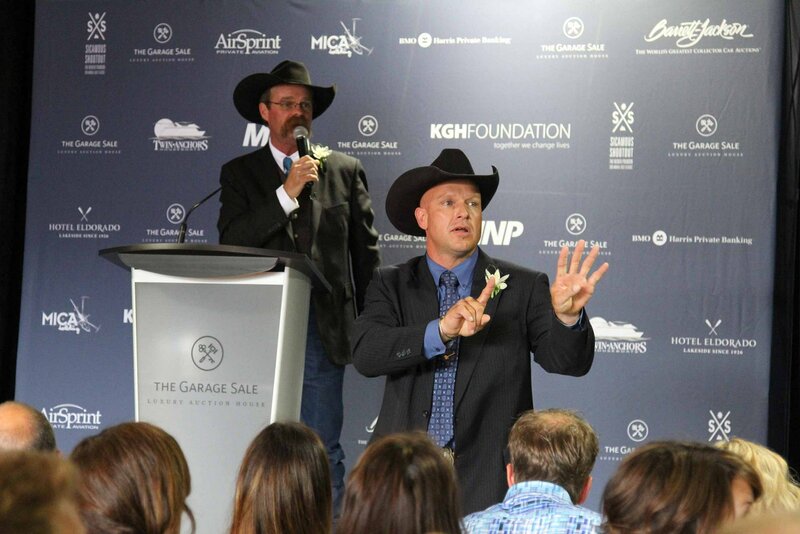 This event drew remarkable interest and was executed by Alex Lambert and his team at The Garage Sale Luxury Auction House with flawless precision and attention to detail. Jane Hoffman Group is proud to be associated with The Garage Sale Luxury Auction House and looks forward to future events that implement this unique and effective selling process. KELOWNA, BRITISH COLUMBIA — (Marketwired) — 06/28/13 — Canadian based company The Garage Sale Luxury Auction House is pleased to announce the successful sale of Nautica Vista, a private luxury lakeside mansion located in the exclusive Sheerwater development in Kelowna, B.C. With the lake as their backdrop, nine bidders competed during a live auction to own the property. Nautica Vista, one of the Okanagan’s most spectacular homes, sold on Tuesday June 25th by unreserved auction for $4.7 million; making it one of the highest selling homes in the Okanagan in the past 5 years. The auction was handled in cooperation with the Coldwell Banker Jane Hoffman Group. The Garage Sale Luxury Auction House’s global marketing campaign generated over 11,464 website visitors from around the world, including 6,160 in June alone. Canada, led by BC, AB and Ontario, accounted for the majority of the traffic followed closely by the United States with California and New York leading the way. There were a total of 66 serious inquiries, 73 showings and 9 registered bidders. In addition to selling Nautica Vista, a west coast contemporary lakeside mansion, TGS also scored big with its Charity Auction, raising over $48,000 for the KGH Foundation and over $18,000 for The Canadian Red Cross to help flood relief victims in Calgary, AB. Comedic emcee Danny Hooper had the crowd in stiches with his unique personality and off-beat sense of humor. A total of ten Lots hit the auction block for charity, which included a Luxury Mexican Getaway donated by MNP, a Private Fishing Package to Stuart Island donated by Dave Ritchie of Ritchie Bros. Auctioneers, and an NHL Package donated by Shea Weber and Titan Sports Management. The highest selling charity item of the day was the Private Aviation and Barrett-Jackson VIP Experience Package, which was donated by AirSprint Private Aviation and Barrett-Jackson and sold for $18,500. Proceeds from the sale of this item have been donated to The Canadian Red Cross in an effort to provide support for flood relief victims in Calgary, Alberta. House’s targeted sales and marketing campaigns are proving increasingly successful at attracting interest from around the globe and are growing the firm’s database of luxury buyers and agents by the minute.